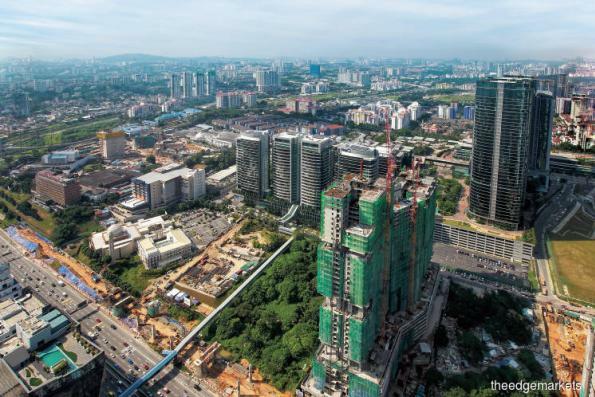 KUALA LUMPUR (July 24): The Malaysian government needs to be ready for the nation's property bubble to burst and the risk that this could lead to an economic crisis, following spectacular growth in the high-end property segment, according to the Institute for Democracy and Economic Affairs (Ideas). In a statement today, Ideas said a policy paper authored by Ideas senior fellow Dr Carmelo Ferlito indicated the spectacular growth in the high-end property segment was ignited by rising profit expectations, growing demand and at a later stage, a supportive credit market. Ideas said in the statement: "That bubble should now be expected to burst." “The high involvement of government agencies in the affordable housing market, risks crowding out private initiative and preventing the necessary restructuring from taking place. It is important to let the bubble to burst; too much credit will only delay the bursting, keeping prices artificially high and putting at risk, the financial solvency of buyers. Without credit support, the crisis will happen faster and force both capital restructuring and prices to move downwards”, Ferlito said. According to Ideas' statement, Ferlito recommended the government to respond with market-oriented solutions and pay special attention to the household financial exposure. It also highlights the need for the government to downplay its role in the property market by reducing the number of government agencies and encouraging the private sector to get involved in the affordable housing market.